Do you know what they’re thinking? Do you ever wonder how your staff feels about your leadership and organizational performance in general? Wish you had ESP and could simply read their minds to hear what they are thinking? 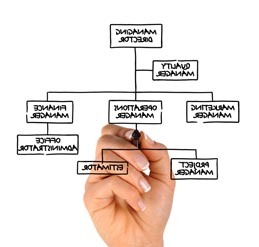 If so, conducting an organizational assessment may just be the right answer for you! But, we can’t afford that! Yes, you can! At Plus Delta, we’re not fans of taking months and months to gather seemingly useless data that doesn’t move an organization forward. That’s what many of the Big consulting firms do, charging $50-100,000 – or more! – in the process. Our goal has always been – and will always be – to meet our clients where they’re at. That’s why we developed our “Quick Pulse” approach to assess what’s happening now and determine what’s needed to take your organization to the next level. And we can do it all in 30 days or less if speed matters to you! What’s your “even better if”? Nobody is perfect, and there is always an “even better” that exists for an organization. The problem is figuring out what that even better is, and you can’t do that sitting in an Executive boardroom not talking to your people. Innovation starts with ideation, so get your people involved in this rapid discovery process and tap into their fresh ideas to improve performance in your organization! It’s amazing what a difference even a few focus group meetings or an organizational climate survey can do to fast track the process. Okay, we know. Now what do we do? If your organization is stuck in the past and needs to break away from that debilitating “this is how it’s always been done” thinking, Plus Delta’s organizational consultants can show you the way. We know just how to get you unstuck and plot your course forward to get you from where you are to where you are going. We’ll even develop an implementation plan and change management roadmap to prioritize your performance improvement opportunities. That’s the best way to get from assessing your performance challenges to producing powerful breakthrough results across your organization. Click here for a short and insightful article on Organizational Assessment and why you need to listen to your employees. Or click here to review a sample Organizational Climate Survey.